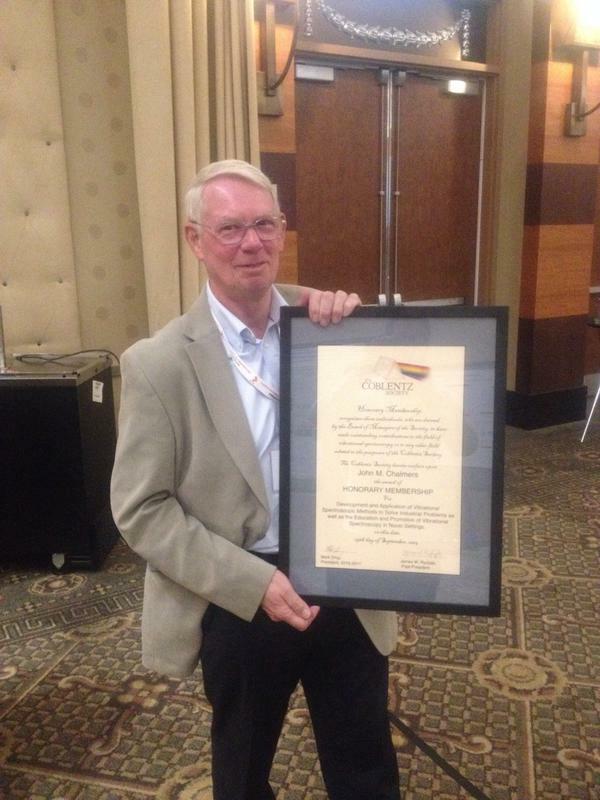 Congratulations to John Chalmers on being awarded Honorary Membership of the Coblentz Society. Honorary Members of the Society are individuals who are deemed to have made outstanding contributions to the field of vibrational spectroscopy. The award was presented at the SciX Conference in Rhode Island.